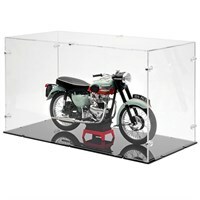 1:6 flat-packed motorcycle display case to protect and display your 1:6 motorcycle replicas. Measures 46cm long x 22cm wide x 25cm high. 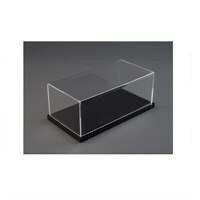 Atlantic 1:24 black gloss stackable base display case. Measures 23x12x8.5cm. 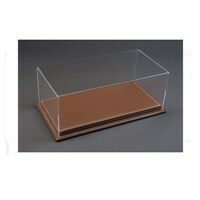 Atlantic 1:18 brown leather base display case. Measures 32.5x16.5x12.5cm. 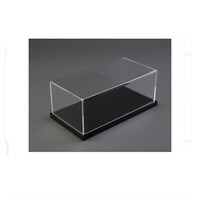 Atlantic 1:18 black gloss stackable base display case. Measures 32.5x16.5x12.5cm. 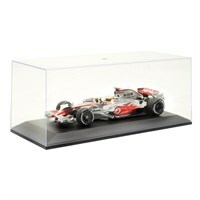 This AUTOart display case is very good value and can accommodate any 1:18 single-seater, rally, GT or road car. It will also house two of our 1:12 bikes and if you buy more than one they can be stacked on top of each other.